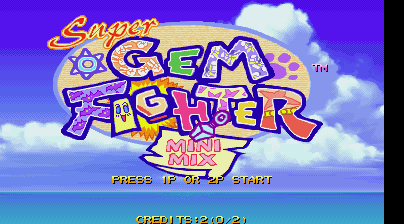 The arcade version of Super Gem Fighter Mini Mix (known as Pocket Fighter in Japan) was released in 1997. 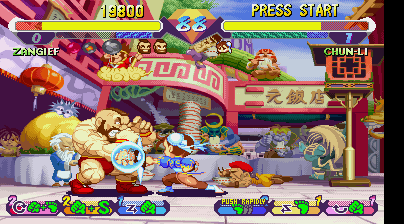 It features super deformed versions of several Capcom characters, plus most of the backgrounds have a lot of cameos. 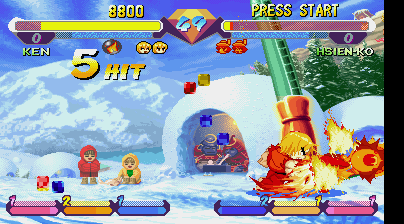 On the mountain stage, Sodom can be seen sitting in an igloo with Bishamon, a character from Darkstalkers. Guy and Rolento can be seen in the top left corner of Dee Jay's bar stage. In the Japanese restaurant stage, Guy can be seen on the far left whilst Sodom is eating at the central table. Rolento also crawls across the ground left to right on this stage. 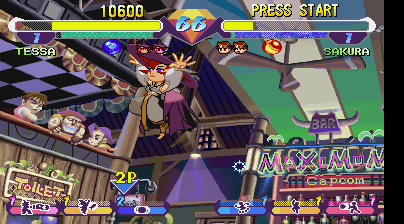 Ibuki has a move where she briefly turns into Rolento to throw a shuriken -Ibuki would later team up with Rolento in Street Fighter X Tekken. Also, if you beat the game with her, Guy appears in her ending. She wants to fight him but he distracts her with food and then makes his getaway. 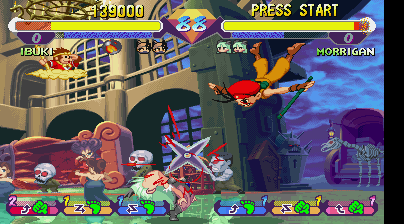 This game was later released on the Playstation and SEGA Saturn under the name of Pocket Fighter. 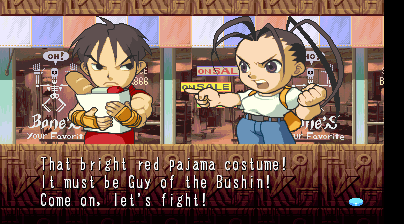 It was also included on Street Fighter Alpha Anthology for the Playstation 2.